Nutrient Removal….Where Did All The Money Go. Exporting nutrients from your fields occurs with every harvest. Just like the oil and gas industry, mining of basic metals, agriculture production depletes the soil. Commercial application of ammoniated nutrients stores hydrogen in the soil thus lowering soil pH. Legumes also contribute to lowering soil pH. At some point the hydrogen must be neutralized. Sustained production is not economically possible at current commodity prices….using simple economics. 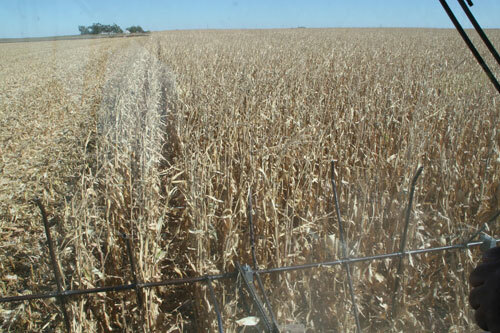 Crop at 100 bu./A. Nitrogen, Phosphorous, P2O5 fertilizer, Potassium, K2O fertilizer, Sulfur, Zinc. (200 bu./A. equivalent. Penn State). The Biblical Four Horsemen...Nutrients are also exported with field burning, residue harvesting, tillage from the plow and leaching. Should residue be harvested to help promote cellulostic ethanol production and subsidize production costs? ……probably not as discovered in this most recent review. Total nutrients Cost plus application costs of $10 per acre. N as NH3 at 32 cents, P at 40 cents and K at 40 cents, S at 32 cents. $111.40 Total nutrient and Application Costs. Not considering loss of soil life and ground cover for snow trap and compaction to remove the residue. Maintenance Western Continuous Irrigated Commercial Corn Grain Production at 250 bushels per acre. Total nutrient cost plus application costs of $10 per acre to maintain production. N as NH3 at 32 cents, P at 40 cents as APP and K at 40 cents, S as ATS at 32 cents. Zn at .5 pound Micronutrients $5. $143.82 Total Nutrient and Application costs to overcome export of grain stored nutrients. 337.5 pounds of lime required to neutralize N at $50 per acre. $193.82 per acre maintenance costs. 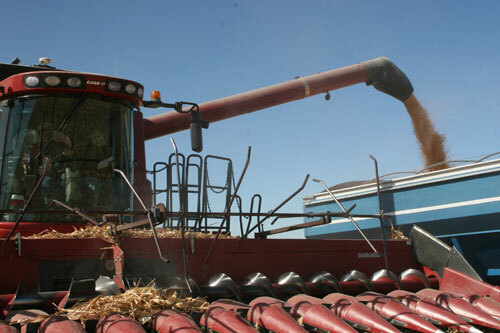 Corn at $3.00 per bushel or $750 gross or 25.8% of the gross to overcome the export costs. Accumulation of test plot data indicates best rates of return are produced with a TAPPS formulation applying in bands of 15 inch or 10 inch just before planting or side dressed. Fall banding requires special consideration for lost N.
Exactrix 15 inch band spacing, spring applied. TAPPS formulator. Ortho Ratio 27-12-0-7S, 250 bu./A corn. Optimum band spacing considered to be 10 inch in pre-plant application. Western Continuous Irrigated Commercial Corn Grain Production at 250 bushels per acre. S as ATS at 32 cents at 35 pounds. $10.24 12.3 pounds N.
Broadcast Application of KCL every 5 years at 416 pounds material or $100, or $20 per year. $112.90 per acre production costs and application costs. 230 pounds of lime required to neutralize N at $35.00 per acre. $147.90 per acre economic production costs of MRP in front of the MEY on the yield curve. Corn at $3.00 per bushel or $750 gross or 19% of the gross income to produce the best margin. 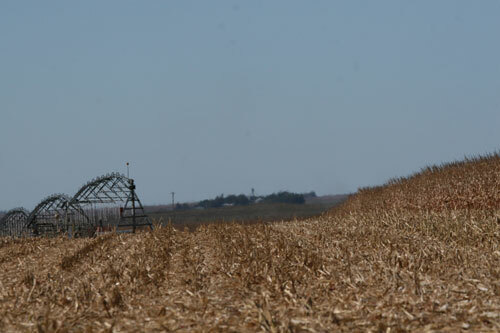 Irrigated producers in western Kansas budget at $92.90 for 250 bushel corn using spring No-till application. Corn at $3.00 per bushel or $750 gross or 15% of the gross income to produce the best margin. Can agricultural production be maintained? Presently nutrients are too high priced to meet the maintenance method. The economic method must be used. Producers must produce crops that result in the best margin. Like any other businessman the margin must be maintained at the maximum. Land investment is considered a good investment. Production agriculture has low returns. Banks are willing to loan to producers that have a good margin. 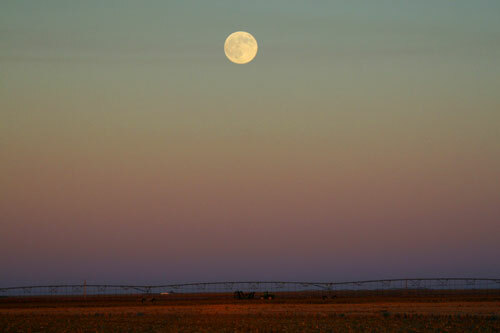 The salvation of oil and gas, mining, and agricultural is a higher price for the commodity. Mines reopen and oil fields start pumping when the commodity doubles and triples in price. The maintenance of soils can not be carried out until the cost of nutrients and lime reaches 12% of the gross. 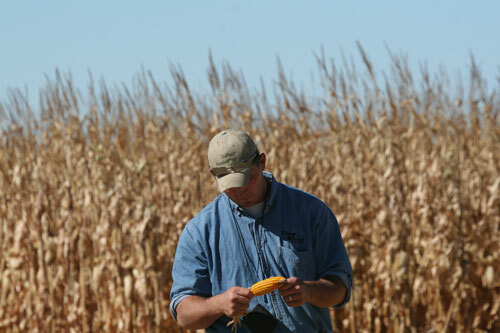 The commodity price for corn must reach $6.40 per bushel to follow a maintenance program. A good price for the commodity will allow nutrients to be applied twice at much reduced rates. The fertilizer industry must respond to timing of the nutrients. On farm storage of nutrients is critical to overcome the lack of investment by the fertilizer industry. The maintenance philosophy was developed when nutrients were 8 cents per pound and corn was $1.50. The corn price has doubled. The nutrients have increased 5 times. Where does the Phosphate go? Phosphate is primarily utilized by the root system. This is where No-till shines since the P becomes positionally available when good root systems are developed and left undisturbed. Worm holes are also a good source for phosphate. Roots will grow in worm channels. As any dryland wheat producer knows the depth of the soil and the phosphate availability is key to raising good winter wheat. More and more producers agree phosphate usage is less with No-till farming systems using TAPPS formulation, root pattern geometry and Rotational Band Loading. The same is true with corn production….deep roots and healthy roots mean future access of relocated P as roots die and recompose into soil available P. Phosphate requirements go down with No-tillage crop production because bands remain in position and chemistry is superior with banded TAPPS. Phosphate is most available at 6.8 to 7.3 pH…. The best way to assure placed phosphate efficiency in lower or higher pH soils is to utilize TAPPS. TAPPS drives P efficiency to the highest levels in acid and alkaline soils. Yes and no. At $6.40 corn nutrients will be regulated. Since producers will go to the extreme and over-apply nitrogen to get a few more bushels. The environment will suffer. The depleted agricultural machinery fleet will be upgraded to fuel efficient, low compaction tractors, advanced no-tillage machinery allowing single and dual pass crop production. Land values could easily double in a short period. Nutrient management and timing will allow investment into equipment that manages the process application of nutrients. At $6.40 corn will other commodities follow? Many producers feel that $6.40 corn would hurt cattle feed lots. Wheat could move rapidly to the $9 to $10 per bushel range since corn can now be produced very efficiently with No-till techniques in desert climates. However wheat may not reach this price level as favorable weather in Europe, Asia and Australia could develop an over abundance. 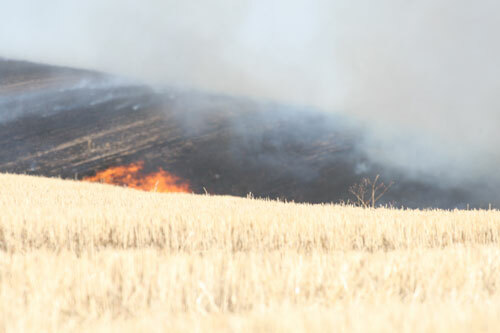 A three year No-till rotation of chemfallow, winter wheat and corn has now been proven under very dry conditions on the high plains. Corn has tremendous upside on yield in dry climates while average wheat yields tend to hit 40 bushels per acre. Corn production is an expanding mono-culture rotation with 93 million acres in production and up 132% in one year. However yields will reduce in future years since many of the corn acres will not be planted on the higher yielding soybean soils. A dynamic move in the corn price should come in 2008 and 2009. Ethanol plants continue to come on line with 75 under construction bringing the total to187 by March 2008. The 2007 predicted national average yield of 153 bushels per acre will be down about 5% to10% per acre in future years on 43 million acres and 50 million acres of soybean should produce good crops at normal yield levels in 2008. Does the fertilizer industry have good margins? Yes and in fact record profits for the primary manufacturers. Mainly because the competition is not great. The distribution and storage system is in need of updating. The Coops continue to consolidate. Independent fertilizer dealers tend to have more advanced equipment. Why does TAPPS work so well? Five basic reasons produce high nutrient uptake and efficiency. Uniformity of application with each row feeding off an even and uniform lineal band. Timing of the nutrients with no-tillage application and good seed bed quality. Formulation of super ammoniated phosphate and sulphate in a crystalline form. High performance in variable pH and variable OM soils. No-tillage system avoids nutrient tie up and allows the residue to break down quicker and add to the nutrient supply. Root pattern geometry allows crop uptake at emergence. Long Term aspects of TAPPS. 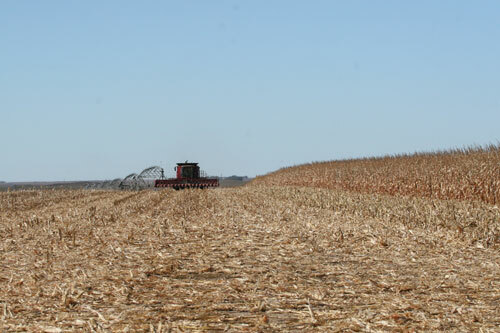 Rotational band loading using No-till improves N,P and S performance. Adjusted soil pH….TAPPS allows less hydrogen to be added to the soil. Rotation of crops allows improved soil tilth and fewer inputs. Should the Federal Government fund soil liming? Yes, since they did fund half the liming cost up to 1985. It is apparent that low soil pH is a very wide spread problem. The natural soil pH should be maintained. The cheap food programs of the USDA have resulted in the decline of the soils since there has no margin to lime. Federal participation should be considered to remove hydrogen from the soil. Producers are reluctant to lime soils since the land may be leased. Liming is a land improvement project requiring considerable investment. Some soils require up to $250 per acre of lime to return the soils to their natural levels. Further declines in soil pH will require more nutrients. Does the producer keep applying more and more nutrients to produce the same bushel as the soil becomes more acidic? The day of reckoning is upon us. New soils such as those in Brazil have much less nutrient applied per bushel produced since Brazil has relatively new soils with better pH. The soils have degraded significantly over the last 20 years. Up to 30% more soil nutrients are required due to acidic soil conditions. If commodity prices double then lime applications should be a part of every producer’s budget. But will the producer apply lime? An offsetting sinking fund is required to neutralize soils…the real cost of N includes the lime to neutralize the soil. Should N be taxed with revenue offset for lime application? Organizations such at the National Corn Growers and The Soybean Growers should proceed with a focused effort on soil pH. Wheat production soils are also acidic in Washington, Idaho, Texas, and Oklahoma. Where does the nitrogen come from with Exactrix applications? It is apparent that the nitrogen must come from somewhere to produce good yields. The crop available applied nitrogen is 40% greater when Exactrix lineal band uniformity is employed. The nitrogen is supplied by the soil itself. Applied phosphate becomes more efficient resulting in more extensive root systems. Better root systems mean better use of nitrogen. The result is higher yields due to nutrient efficiency. The old university algorithms established in the tillage era are not correct in the No-till system when using timing, crystalline TAPPS, geometry, and lineal band uniformity. Soils with pH of 7.3 to 8 pH produce very high yields with low inputs of N. The soil bacteria are very active on the alkaline soils. Breakdown of OM is rapid when left on the soil surface without disturbance. Low pH soils require more nutrients because fungus colonies replace bacteria colonies. The bacterial soil life is active on alkaline soils. The optimum soil pH is very similar to natural rainfall or the pH of the ocean. A good portion of the life on this planet requires a pH of 7.3. The ocean’s life rapidly declines as carbonic acid or CO2 lowers the pH of the ocean. Your bloodstream operates at a 7.3 pH. Timing also improves nitrogen uptake. Lack of tillage reduces the need for N,P and S.
The geometric placed Exactrix nutrients are simply more efficient as compared to all other approaches. Why the emphasis on APP(10-34-0) Phosphate and ATS(12-0-0-26S) Sulfur? APP and ATS are simply the most efficient way to apply P and S.
APP and ATS can be positioned very close to the seed row and ammoniated forming TAPPS. Positional location of the band and the seed row assures the growing crop has leveraged access to TAPPS. Positional geometry is very difficult to achieve with dry fertilizer combinations. Seed bed quality in No-till seedings can be assured much more readily with liquid APP and ATS. Corn planters seldom use dry fertilizer sources because performance counts at the critical 30 day period. Super phosphoric acid is too difficult to meter in a uniform application. Sulfuric acid is too difficult to handle and has serious safety considerations. 11-52-0 can not metered effectively in a lineal band. Micro nutrients can not be added economically speaking. Zinc applications are always best with APP. APP or 10-34-0 is 70% polymer allowing micro nutrients to be added. ATS or 12-0-0-26S easily combines with APP and allows S requirements to be managed based on the needs of the growing crop, canola requires twice as much S as spring wheat. The polymer link also reduces interference from soil calcium and tie up on alkaline soils. The polymer link also reduces interference from acidic soils loaded with iron, manganese and aluminum. The use of dry 11-52-0 produces sinusoidal flow of nutrients reducing efficiency. Blends of 11-52-0 and 21-0-0-24S are non uniform and segregate. A homogenous material can not be delivered. Dry phosphate fertilizers have considerable calcium content and no polymer protection. The cost of dry P, 11-52-0 verse 10-34-0 is within 10% and the performance is about double. Liquids can be easily injected to form the crystals of Tri-ammonium phosphate sulfate. Liquids have major application advantages in high humidity and wet weather. 10-34-0 is more energy efficient than 11-52-0 since less is required. APP is made from 70% super phosphoric acid, 82% NH3, and water. Rail cars are located at rail sidings allowing mobile and stationary TVA and Shell reactors to make APP. The APP can be delivered more effectively in a 50 to 100 mile radius. Transportation, energy use, handling, and delivery costs are more favorable with APP and ATS. Rotational band loading performance is superior in No-till systems using APP and ATS. Why is NH3 utilized to make TAPPS? Only Anhydrous Ammonia has the exclusive pH shift freeing up micro-nutrients in various pH ranges. The pH shift moves from 9.5 to 6.5 in critical growing period of the plant root system. Micro-nutrients free up with NH4 in various pH ranges. The crop prefers ammonic nitrogen….while nitrate based 32 and 28 cause the plant to elongate and waste energy converting nitrate back to ammonia to form amino acids. Nitrate forms of N produce thin cell walls and promote crop lodging at higher rates. Aqua ammonia at 20-0-0 is the only other material that can be used to make TAPPS with APP and ATS. Aqua ammonia splatters when entering the soil interfering with opener performance. Zonal seed safety with seeding openers can not be generated with Aqua ammonia due to splashing and 4 times the volume. Aqua ammonia can not be driven into the soil. Exactrix NH3 can be driven into the soil another 2 inches in depth. Aqua ammonia is not able to react under pressure since the hydrogen has been added with water. Exactrix liquid NH3 in the hunt for hydrogen and NH4 stability penetrates deeper into the soil, about 2 inches as it super ammoniates the APP and ATS. Solution 32 and 28 can not be used….since ammonization is required and mobility of nutrients is very high with 32. Zonal seed safety can not be generated with Solution 32. Seeding openers that apply nutrients will require a complete redesign with Solution 32 with up to 2.53 times the volume. 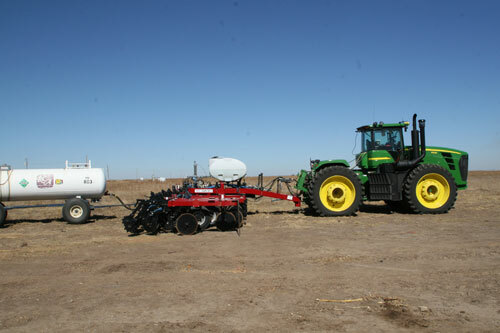 NH3 is the most efficient way to apply nitrogen…..and it is unique to North American agriculture. NH3 has a very big competitive advantage over European producers that must use solution 32 and 28. Europe was unable to participate in the direct application and development of NH3 following WWII. The only countries that directly apply NH3 are Canada, Mexico, Denmark, South Africa, Israel and Australia. The infrastructure of directly applied NH3 has long term depreciation schedules. NH3 can be considered the base root of our society as we know it. Winner of two Nobel prizes and the most significant development of the last 200 years, NH3 allows 6.6 billion people to exist on our planet. The Green Revolution is a direct result of low cost nitrogen. NH3 is a good buy all the way to $2,000 per ton…can this be true? Yes and you simply will not use as much of it at current commodity prices. As NH3 prices rise producers will use new techniques to control production costs. Process Management from Exactrix is a key factor….along with TAPPS, timing and root pattern geometry. No-tillage farming greatly reduces the need for nutrients. Yes, you can make a good margin all the way to $2,000 per ton at current commodity prices. You can relax because you will probably not see nitrogen prices much above $800 a ton since wind power and hydrolysis will produce the hydrogen to make NH3. Plus you may be able to make NH3 much closer to the use point. Can nitrogen be stored in the soil? Nitrogen is leaky. In fact only 5% of all nitrogen manufactured reaches your mouth. Hydrogen and Nitrogen are so leaky that they must be combined in a molecule to store it in the soil. Helium is the smallest of all elements and when combined with hydrogen produces the energy of the Sun. The soil micro-organisms break down the molecules of NH4. The result is the nitrogen is lost every crop year when it is synthetically applied. APP and ATS combined with NH3 will form a more stable form of N in the crystallization process. But stable does not mean stored….since the soil bugs will eventually convert the TAPPS polymer molecule to mobile nitrate. About 6 to 8 weeks of additional ammonic N can be expected when spring applied in TAPPS formulation. The best way to store nitrogen in the soil is with Organic Matter….Organic Matter can store and release ammonic nitrogen timely. So Organic Matter stores and releases organic nitrogen….why can’t I build OM to much higher levels? Now you have explained it….Why didn’t we know about this before? Inside the problems of the past are the solutions for the future. Actually it has been well known about the performance of TAPPS for 20 years but the Process Management system did not exist. As time became available the process could be perfected into a reliable application system. New technologies evolved 12 years ago in hydro-mechanical design and electronic process control. It just takes time to perfect a hydro-mechanical system with electronic components when agriculture production is considered. You measure the application system performance with a growing crop and not with a test bench. Also nutrients were less expensive 20 years ago in relation to the commodity price so the producer’s margins were good enough that there was no need to improve the process….Now nutrients take up an additional 12% more of your budget. Producers can move the lost 12% to your bottom line by understanding how we got into this problem. Now with the excessive nutrients in the drinking water and the Gulf of Mexico Hypoxia it is imperative for the Federal Government to proceed with 1999 nutrient management laws that have a 2009 deadline. A similar program evolved in Europe 15 years ago. Nutrients are regulated in Europe since mobile solution 32 and 28 are not soil stable and way over applied at government elevated commodity prices. Exactrix Test Plot Program….Why does this work so well? Nutrients are now so expensive that producers want to know what are the fertilizer inputs required to raise a good crop. All soils vary tremendously and carrying out large test plots reinforces your needs on your soils. Quite often the margin is increased 12% right to the bottom line using Exactrix Technology and common sense. Exactrix is no better than the man running the system. Producers have paid for the entire tool bar and Exactrix system with one good crop. That is a lot of money that no longer goes to the energy company. Tier 3 CSP has a program to carry out test plots. In some cases the government programs will pay for the equipment as in Alberta. You can receive $1,000 from Exactrix for large scale randomized and replicated plots using an independent agronomist. You can finally determine what it takes to raise a good crop. 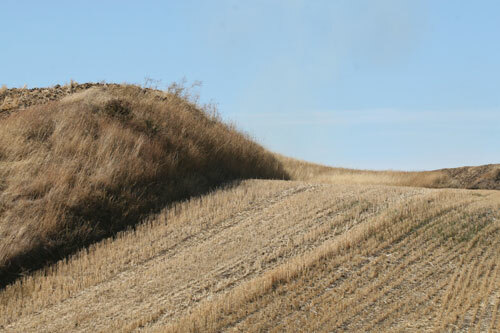 Recent articles and promotional material indicate that Switchgrass does not require nutrients. It is all economics and you can bet that Switchgrass will require nutrients. Because Switchgrass is also cattle feed and the tonnage removed must be added back somehow. Moving Bio-Char back to land and applying it uniformly is an argument that will go on for years. The nitrogen must come from somewhere. 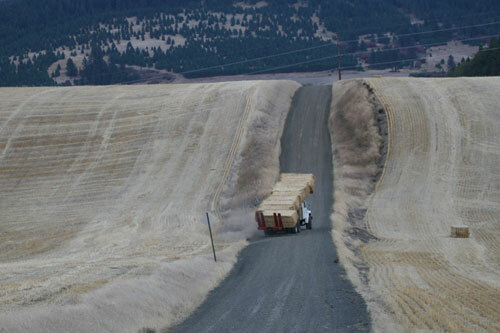 Grass Hay production based on Alberta Agriculture data shows that a 5 ton hay crop removes 170 pounds of N, 50 pounds of P2O5, 215 pounds of K2O, 20 pounds of sulfur and 55 pounds of calcium. Hopefully Exactrix Process Management and single disc openers can make a valuable contribution to Switchgrass production. Just like other industries such as oil and gas production and mining, agricultural crop production will survive on pure economics. Federal help will be required to reclaim the acid soils just as failed mine tail water must be processed by the federal government. The agricultural crop production system must use less and get more with advanced process management. Environmental impacts of out of place nutrients are a high priority for society. The economics of crop production does not presently allow for sustainable soils using a maintenance philosophy. 2008 is an election year, 2009 is the nutrient management deadline. You may be up all night on the first Tuesday in November 2008 trying to figure out your next move. "Quality is always remembered well after price is forgotten."